Nickel Creek On World Cafe : World Cafe The bluegrass trio gathers around a single mic to perform songs from its first album in seven years. After a seven-year hiatus, the folk-pop trio Nickel Creek is back with a new album, A Dotted Line. 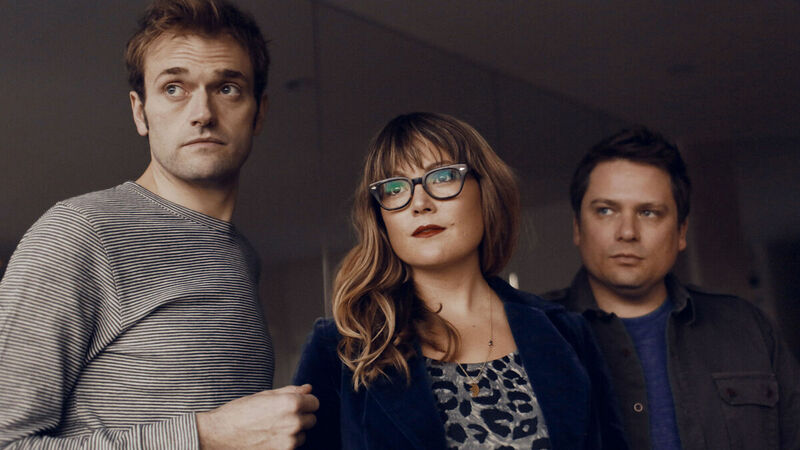 Chris Thile and siblings Sean and Sara Watkins were just children when they started playing together in Carlsbad, Calif., in 1989. Known for bringing bluegrass to younger generations, the band released six albums before parting ways in 2007. During Nickel Creek's hiatus, the members all recorded other projects, including Thile's work with Punch Brothers. On this installment of World Cafe, Nickel Creek gathers around a single microphone and performs songs from A Dotted Line. The group also discusses the reason behind its split and explains why this was the right time to reunite.